in the pollen sugared cedars. This entry was posted in Nature, Ozarks, Poems and tagged daffodils, garden, home, in like a lion out like a lamb, march wind, poetry, seasons, spring, table rock lake by The Course of Our Seasons. Bookmark the permalink. Yep, sounds like spring is coming! 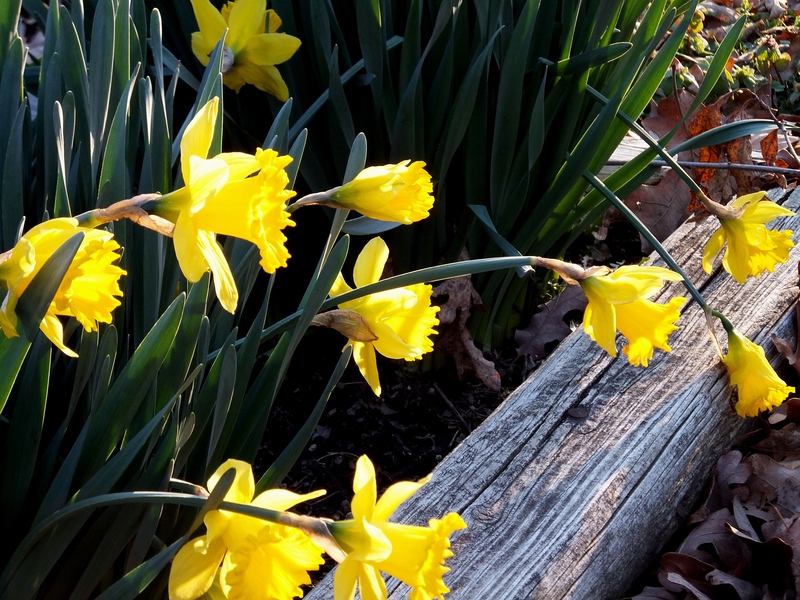 LOVE this description of the daffodils in their bonnets, and the gusty wind………forsythia is my favorite harbinger of spring. I always used to have it in my yard – when I had a yard of my own.